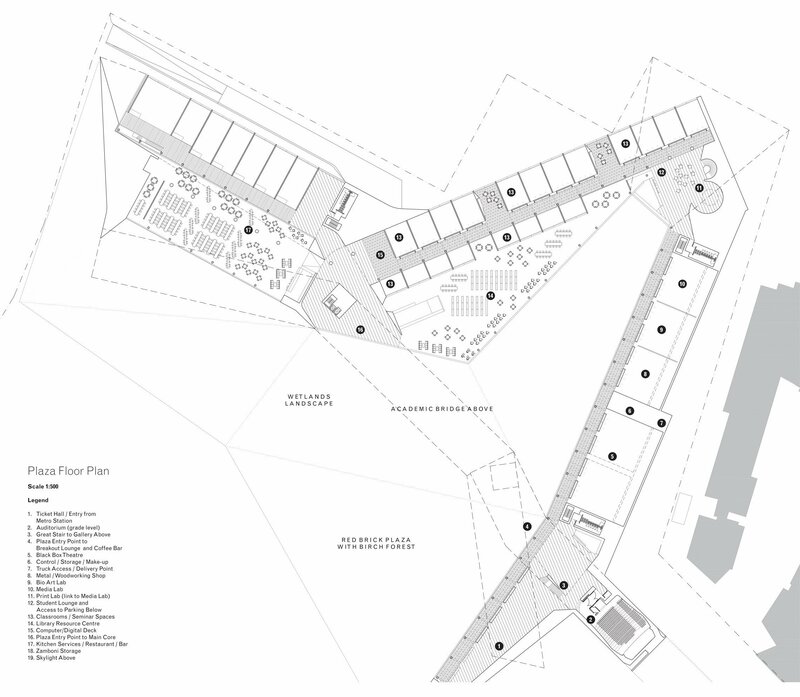 Aalto University Campus | Williamson Williamson Inc. 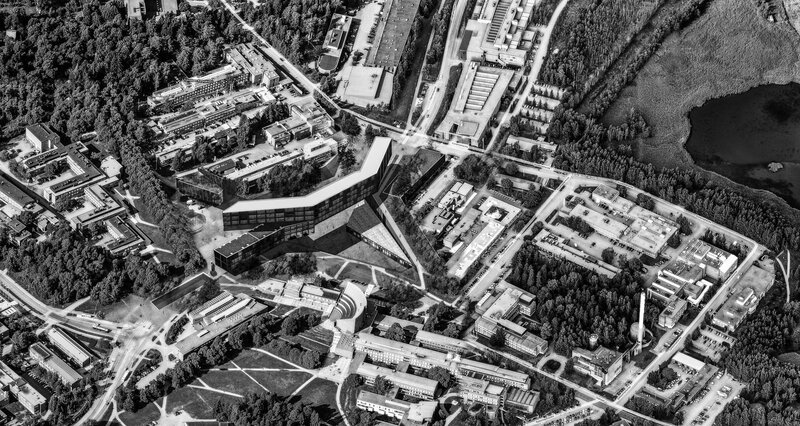 The new campus vision for Aalto University plays a prominent role within an existing network of red-brick academic buildings and courtyards. Where there was a road that divided the campus, now stands a building that unifies it. 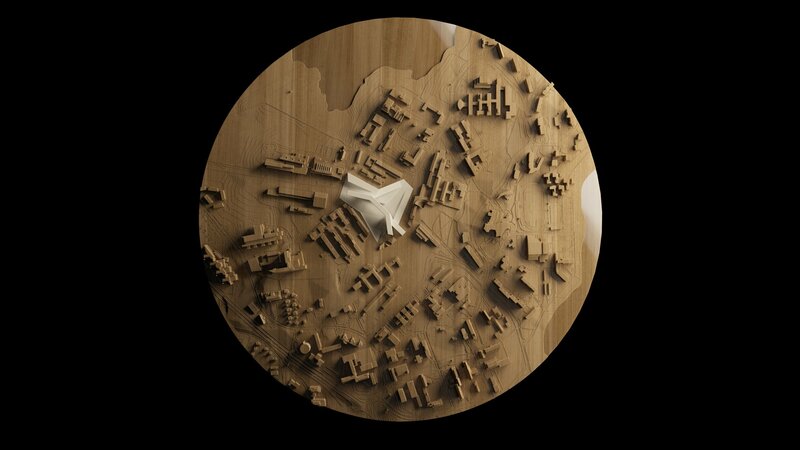 This project occupies the space of the former road with a 50,000 sq m Academic Centre of high-tech wood construction that bridges over a deeply carved plaza, providing a centre for the campus. The tall studio spaces, stacked into a series of optimized bar buildings, begin 6M below existing grade, allowing this large building to appear relatively thin and light respective of the historic academic buildings by Alvar Aalto. Public programs such as the theatre, restaurant, and commercial spaces line the main part of the plaza with linear stretches of classrooms occupying the additional levels. The size of this ground plane is such that it will have significant landscaping. A birch forest will be located on the south side and planters with pools and grasses will occupy the outer edges. In Phase II we envision the development of these landscapes relative to the local protected areas and designed with the input of local experts. and the activity on the bridge above. 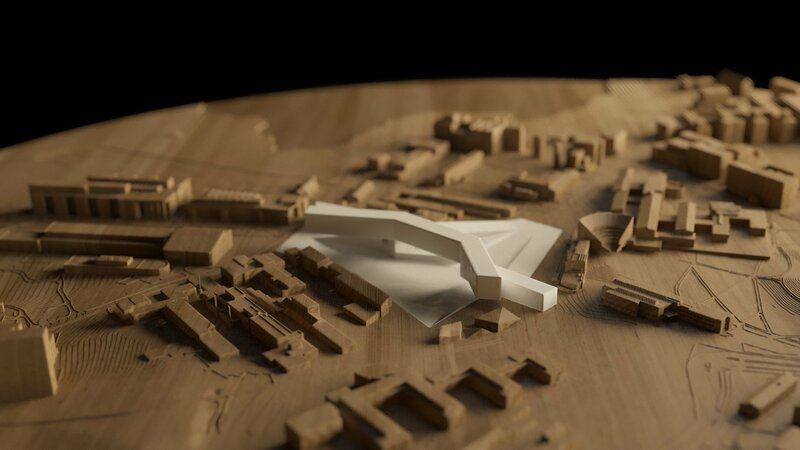 The new campus vision for Aalto University plays a prominent role within an existing network of academic buildings and courtyards. Where there was a road that divided the campus, now stands a building that unifies it. 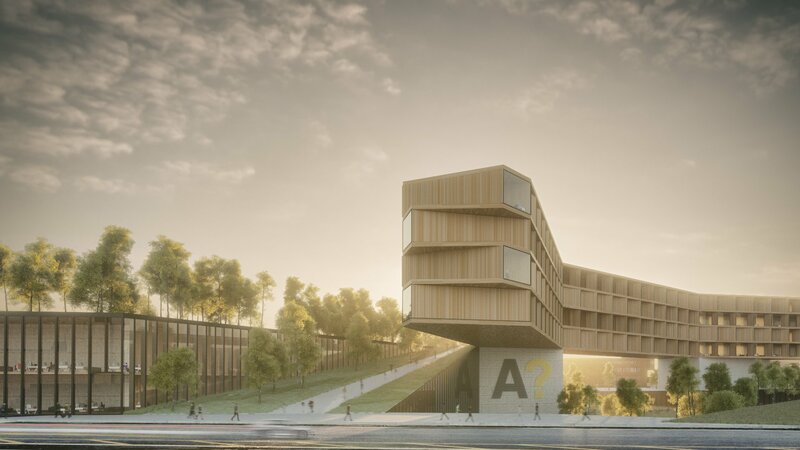 This project occupies the space of the former road with a 50,000 sq m Academic Centre of high-tech wood construction that bridges over a deeply carved plaza, providing a centre for the campus.